Home / Blog / Pet Foods -- Are You Getting What You Pay For? Pet Foods -- Are You Getting What You Pay For? With the crazy growth of the Pet Industry – this year anticipated to be over 58 Billion dollars – our pets are not necessarily the beneficiaries. More money than ever is spent swaying consumers to spend their dollars on food, treats, collars and toys. For the purpose of this article the focus is on food – meat to be specific. Providing information for the consumer to make a more informed, albeit gross, decision when it comes to pet food. Having been both in retail and now manufacturing it is murky water to wade through trying to find the facts. Some of the ugly truth is how poorly the industry is regulated with both manufacturing and ingredient sourcing. 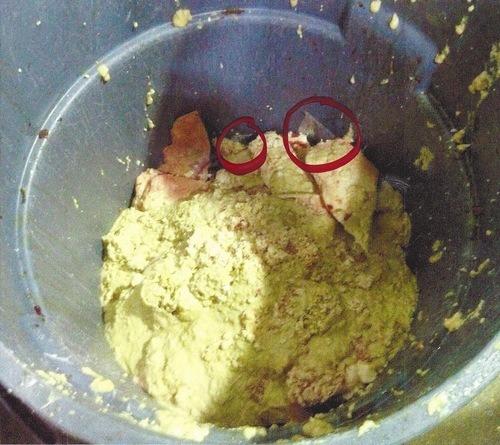 At this point in time, no plant inspections are required to manufacture pet foods and many of the ingredients on the label are not exactly what you think they are. 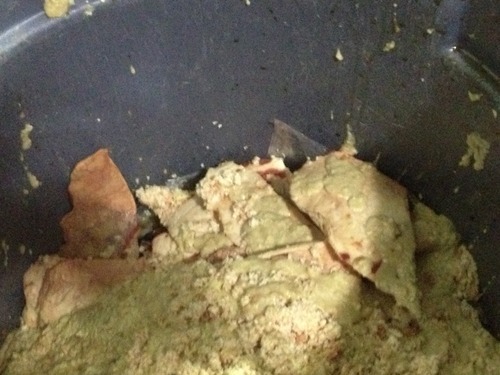 I can guarantee that is not the meat going into kibbled pet food. The same holds true for canned pet foods. Many raw food companies are also using a lesser quality meat than whole muscle meat. Meat by definition according to the AAFCO guidelines is: “the clean flesh derived from slaughtered mammals and is limited to that part of the striate muscle which is skeletal or that which is found in the tongue, in the diaphragm, in the heart, or in the esophagus; with or without the accompanying and overlying fat and the portions of the skin, sinew, nerve, and blood vessels which normally accompany the flesh. 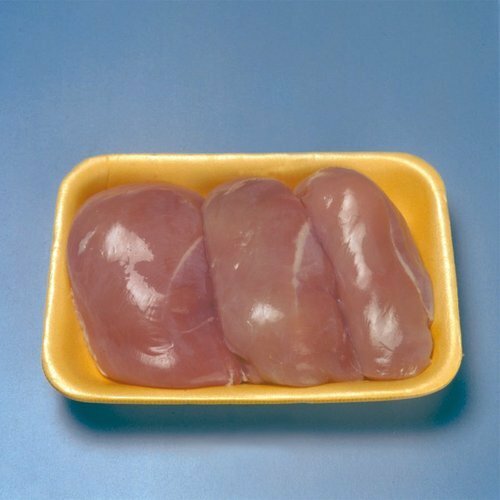 It shall be suitable for use in animal food.” (1) There is nothing in that definition indicating how the “meat” is obtained and whether it is whole muscle meat (think steak or whole chicken breast), commenuted or mechanically separated meat (think hot dogs), or denatured meat (think charcoal colored meat). * Any phenolic disinfectant conforming to commercial standards CS 70-41 or CS 71-41 which shall be used in at least 2 percent emulsion or solution. To read more about the denaturing process more information can be found at the www.gpo.gov link provided at the end of the article. 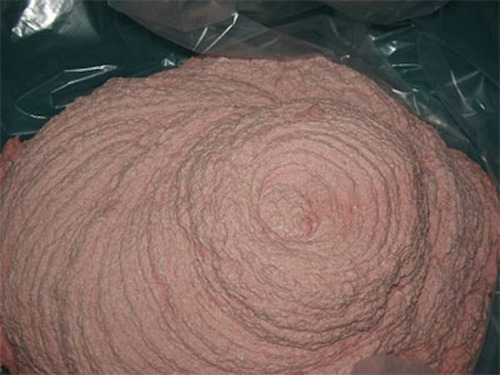 Just as with mechanically separated meat, artificial color can legally be added back to denatured meat to bring the color back to “normal meat color”. More information regarding the dyes used can be found at the www.google.com/patents link at the end of the article. Again – pet food companies are NOT REQUIRED to list anywhere on the label if they use mechanically separated or denatured meat. In USDA facilities that produce meat for human consumption, they are required to denature any meat product that is destined for pet food processing so there is no possibility a person would eat it. I personally tried to purchase meat from a large USDA facility for my raw food and the on-sight inspector would not let it out of the plant without a chemical denaturing once he knew it was for pet food. Needless to say, I did not, could not, go through with the transaction but am always weary of other companies practices knowing what I have been up against to find “clean meat”. There are a few exceptions, one being the type of facility the pet food is processed in. If the pet food is processed in a USDA plant the plant must use human edible products (USDA inspected meats) if the equipment is shared; if using un-inspected products (many companies use the term “out of USDA inspected facilities’) the pet food must be processed using separate equipment and can be denatured meat. The confusion with “denatured meat” has been compounded by HPP (High Pressure Processing) or simple cooking which denatures the protein, which is completely different than the chemical denaturing I am referring to. Bottom line – good quality meat is not cheap for humans or pets. The pet industry advertising has been able to confuse many knowledgeable consumers. One of my pet peeves (pun intended!) are the made up terms used by the pet industry. There is no such thing as HUMAN GRADE INGREDIENTS – that was a term coined by the industry to make consumers feel better about the products they are purchasing – with one exception to my knowledge. One company that I am aware of has gone through the two year pain staking process of being able to use that distinction on their packaging. The correct term for a high quality human product would be “human edible”. There is also no such thing as “Hormone free – Antibiotic free” meat. ALL MEAT is weaned off hormones when it goes for processing – that is a requirement of the USDA. The correct term for an animal that has never been introduced to hormones or antibiotics is “No added hormones or antibiotics”. VERY SUBTLE difference! I have been inside many different processing plants that process all different types of products including a huge plant that does all the mechanical separation of meats for many of the large kibble manufacturers; countless human meat processing facilities; and a local rendering plant. As a consumer you expect to trust what you read, expect to trust the manufacturer to do their job, and expect to trust your retailer to know the differences in companies and their manufacturing practices. The ugly truth is that many of the manufacturers today are only concerned with their bottom lines and profit margins and it is the pet population paying the price. It is a difficult task to sort out all the information that is purposely designed to confuse the consumer. We have more choices than ever and there are some incredible companies doing great things to make a positive difference, you just have to work a little harder to find them. I encourage you to ask questions! LOTS of questions! If there is nothing to hide, the questions are easy to answer and you want to know you’re getting what you paid for.